Wow! I’ve been looking at my referrals for August and I am absolutely blown away! This is a map of people looking for Uppercase Living demonstrators just in the month of August. And it isn’t even a complete list! 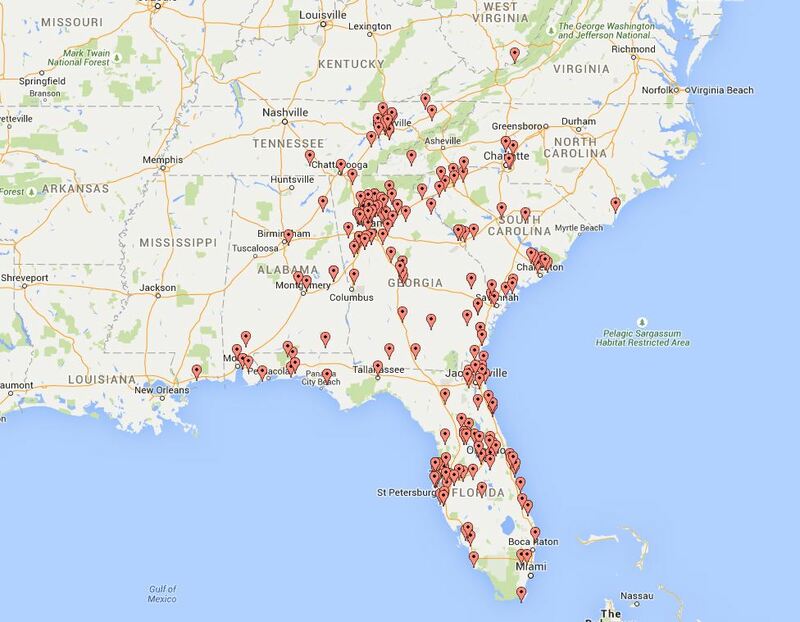 I get referrals all over the southeast, from up in VA to way down in FL, AL, MS, and LA!! Crazy! And I’m not the only demonstrator getting referrals in this area, so this might only be a 1/3 (or less) of the people looking!!!!!!! I need more team mates to help me share and inspire! I have a fantastic special for new demonstrators this month only!